RENNtech tuning software for Mercedes offers significant gains in horsepower and torque across the vehicles entire power band. 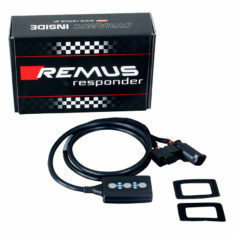 By modifying ignition timing and throttle mapping, optimizing air-to-fuel ratios, increasing the engine’s rev limiter and modifying boost mapping for turbo-charged vehicles, RENNtech performance software unleashes the true potential of your Mercedes. 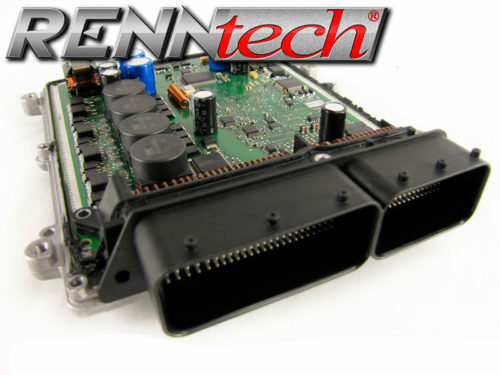 With the proprietary RENNtech ECU+ Tuning the C205 – C 63 AMG Coupe gains up to +56 HP and +107 LB-FT, based on power numbers measured by RENNtech. Please note that the Mercedes M177 engine performance when measured, obtains higher numbers than rated from factory. 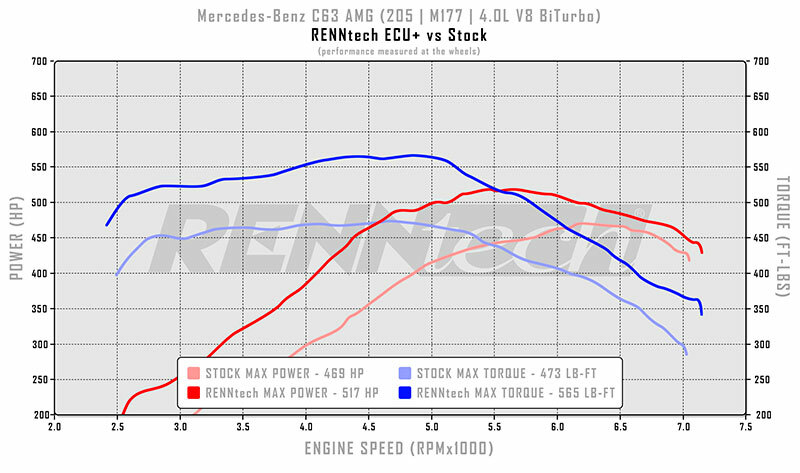 The maximum power number reached with the RENNtech ECU+ Upgrade fo the C205 – C 63 AMG Coupe is up to 601 HP and 657 LB-FT.
We have found the M177 engine stock performance numbers vary from the baseline figures claimed by Mercedes Benz. We typically see higher baseline numbers than claimed by the factory. Power gains are calculated based on stock numbers measured by RENNtech. Crank Performance Numbers are calculated with a 14% Drivetrain loss on RWD vehicles. Our numbers will be dependent on conditions and fuel quality. 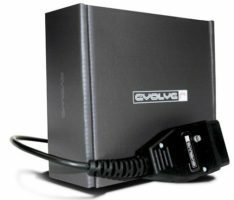 93+ Octane gasoline is mandatory with this Performance Upgrade. 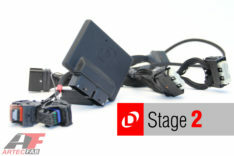 States known for poor fuel quality have to be supplied with a lower power setup. 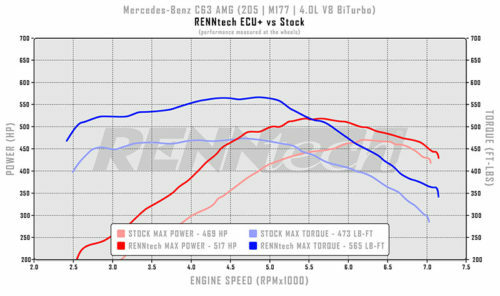 Note: Mercedes M177 engine performance when measured, obtains higher power numbers than rated from factory.